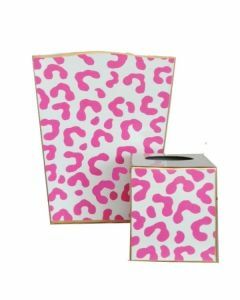 This adorable navy animal print designed wastebasket measures 12‚ÄùH and is made of hand painted tole. 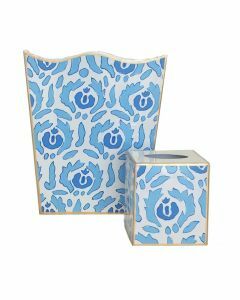 Matching tissue box cover is available. Please select from the drop down menu below. Click on image for greater details.